« Day Trips by Train from New York City — Festivals Await! 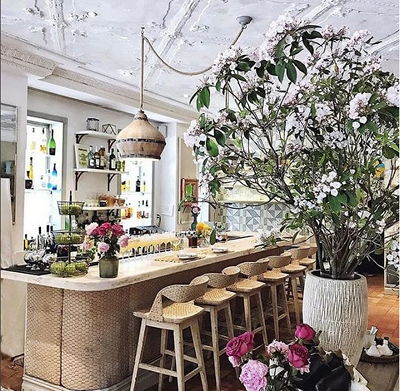 The Fourth of July is over but we can celebrate another Independence Day with some great restaurant choices in Manhattan. Even better, you can celebrate this “day” for an extended period while partying or dining out a la francaise. Bastille Day, July 14, commemorates the fall of the French monarchy and celebrates the storming of the Bastille in Paris in 1789. An annual celebration is the fête populaire thrown by the French Institute Alliance Francaise (FIAF), the largest public celebration of France’s Independence Day in New York France’s historic friendship with the United States. The festival, a three-block all-day affair, is popular among New Yorkers of all ages, with French cuisine, music, dance and other family-friendly attractions. The Bastille Day celebration takes place on July 15, 2018 on East 60th Street from 5th Avenue to Lexington Avenue, and is a block party extraordinaire. Starting at 11am, there will be a live screening of the World Cup Final, following by a “Summer in the South of France” tasting starting at noon, along with a French-themed market, kids’ corner and musical performances. At 1:30 and 3:30pm, you can toast to everything French with a Champagne and jazz party. And, if you’re feeling especially lucky, enter to with trips to Paris and Martinique with a prize drawing to be held at 5pm. Claudette claudettenyc.com/ and Bar Tabac offer special Bastille Day menus. 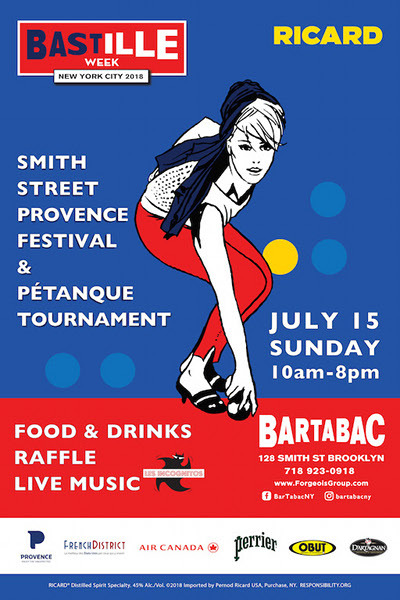 Additionally, on July 15 from 10am-8pm, Bar Tabac joins other establishments on Smith Street in Brooklyn for their annual Petanque Tournament and Smith Street Provence Festival www.bartabacny.com/bastille-day. 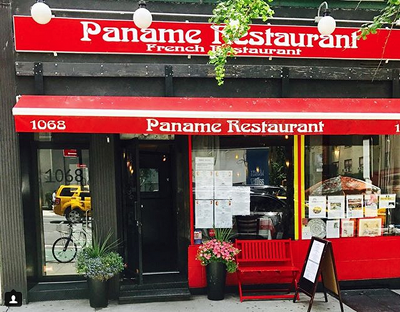 Another of my favorites, Paname French Restaurant www.panamenyc.com, is in easy walking distance from the FIAF fete. You will definitely want to start off you day hungry. This entry was posted on Friday, July 13th, 2018 at 9:24 am	and is filed under Stuff to Do. You can follow any responses to this entry through the RSS 2.0 feed. You can leave a response, or trackback from your own site.